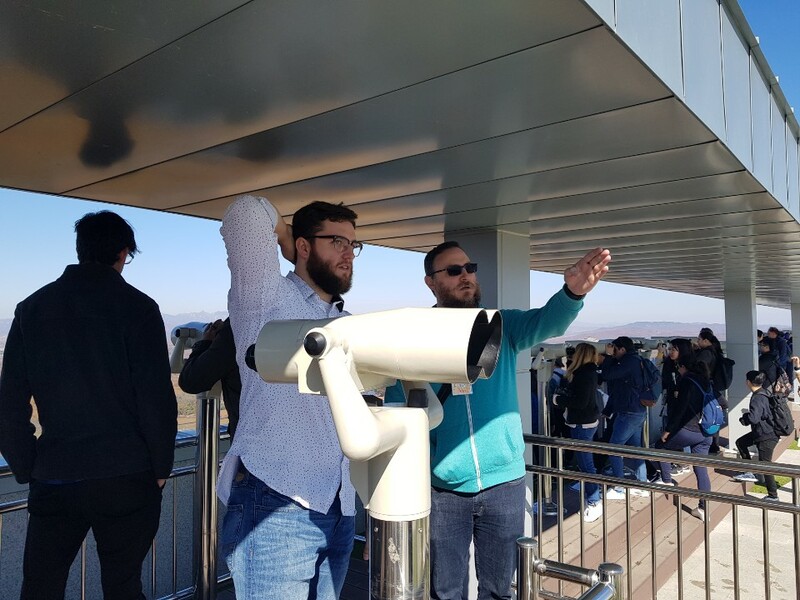 Staring at DMZ area, male tourist explain about DMZ area to his friend. 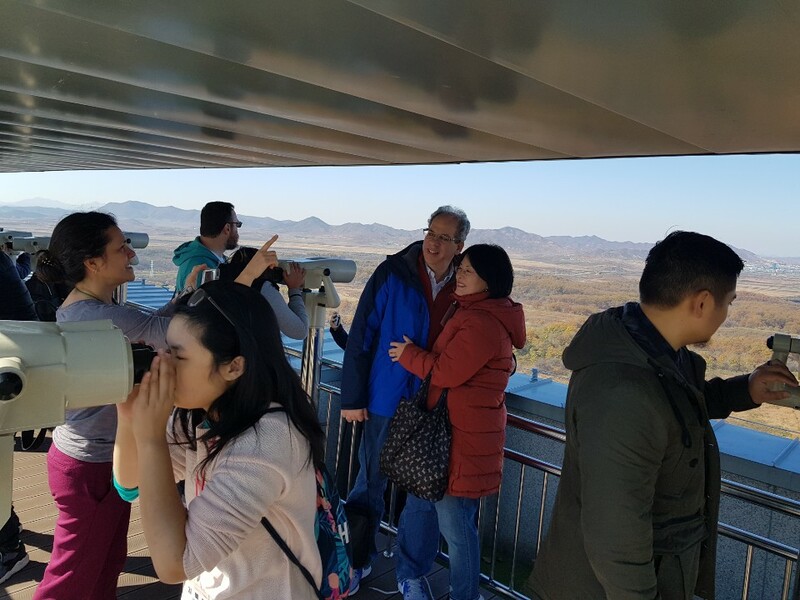 Scene of many tourist watching the part of North Korea Thru observatory at Dora mt observatory. 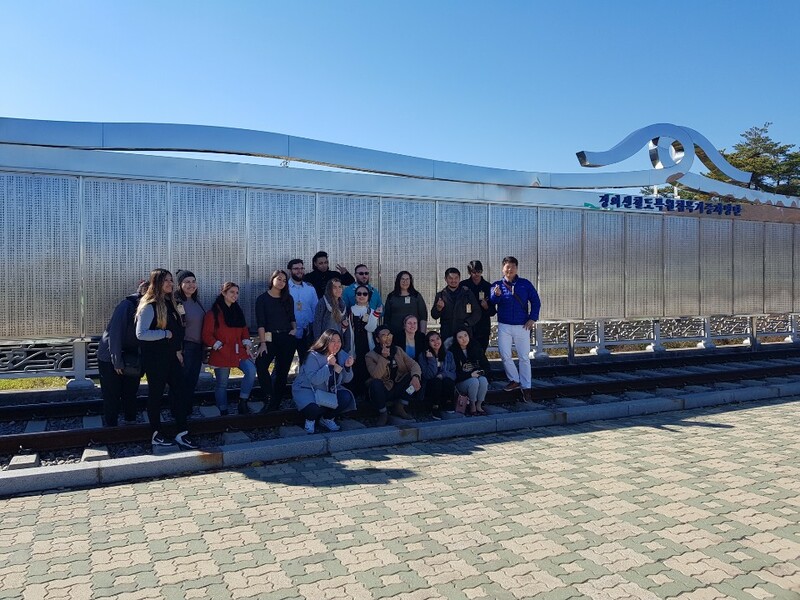 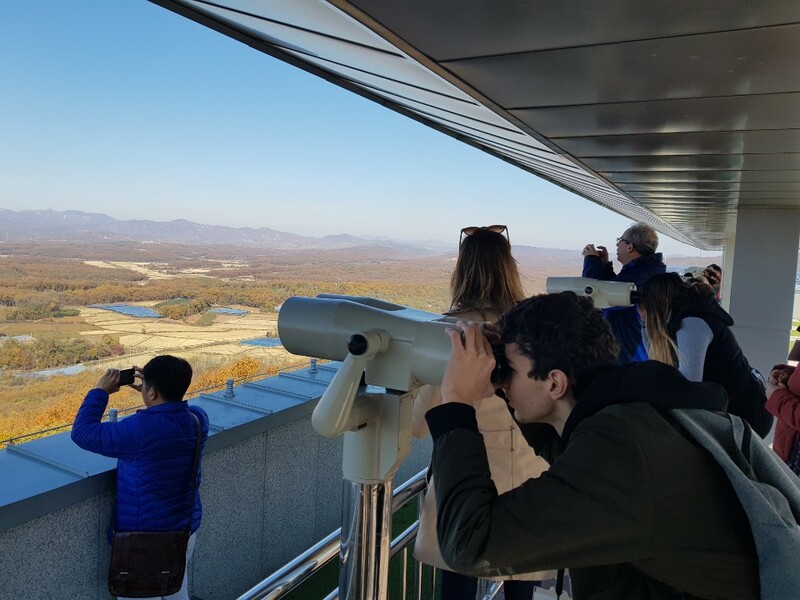 At redecored observatory, tourist can see the DMZ area more closer.